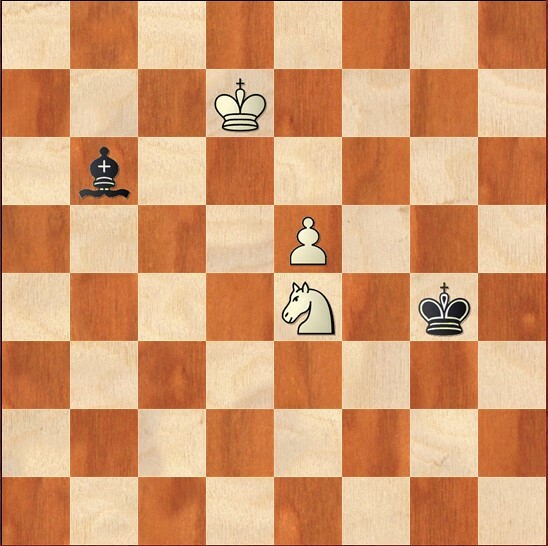 Here is a position from one of my recent 4NCL games. Black to play and draw. The solution is given at the end of the post. I have played only one FIDE-rated game in the last three weeks, which was a win against a 1606 in the last game of the season in the French league. I hope to report some real movement in my rating next time, as I will be playing four games in the Central London Chess Congress and three games in the final 4NCL weekend before my next report. The study has taken a bit of a hit this period, as I had flu over Easter, so did almost none in that week. It has got back on track since, though I have not been particularly good at keeping my study log up-to-date. I have updated it today with some estimates of my recent study, and will endeavour to keep a more accurate record going forward. Finally, the solution to the problem posted above. I was pleased to find this move, and feel I have improved at defending tough positions in recent months. Saving half points like these could be key in my efforts to get to 2100 over the next few months. Nice puzzle! I didn’t find Bd8 and thought Kf5 was enough to draw. Strangely I noticed Bd8 before Kf5, which was fortunate as I was quite short on time.